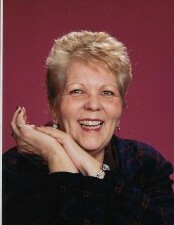 Carol A. Trimble, 76 of Reynoldsburg, OH passed away at home on Tuesday, March 19, 2019. She was born on Sept. 20, 1942 to the late William H. and Helen J. (Ward) Cummins in Ashville, OH. Carol was a 1960 graduate of Walnut High School in Ashville and worked in administration in the trucking industry. Carol is also preceded by a son Robert P. Trimble in 2002. Carol is survived by sons Alfred Wayne (Brenda) Trimble Jr. of Lancaster, William E. Trimble of Reynoldsburg; daughter Carla J. (William) Gambill of Circleville; grandchildren Jessie White, Cody White, Helen Trimble, Samantha White and William Trimble Jr.; 1 great grandchild on the way; brother Jerry (Pam) Cummins of Circleville and sister Dianne (Stanley) Quayle of Pickerington; special nephews Zachary and Robert Quayle; nieces and nephews Sherry, Kristi (Chuck), Brandon (Kelly) and Mandy (Justin); numerous great nieces and nephews.